Nick Stone's future has never looked as bleak. The only person he's ever loved is dead. The only people who might give him a reason not to join her have turned their backs. Until a chance encounter with a man he saved ten years ago appears to throw him a lifeline . . . But on the bullet- and bomb -scarred streets of Baghdad, second chances are in short supply. A simple quest becomes a journey to the heart of a chilling conspiracy; too late, he realizes that he is being used as bait - to lure into the open a man he believes can offer some salvation, but whom the darker forces of the West will stop at nothing to destroy . 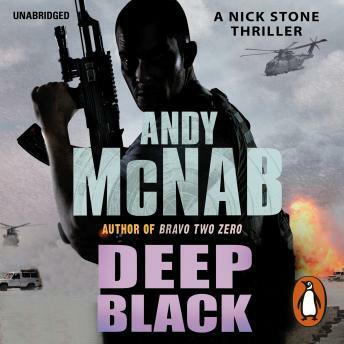 . .
From its violent and shocking opening in the Muslim enclaves of Bosnia, through vivid, lightning-paced action in war-torn Iraq, this unforgettable story proves Andy McNab yet again to be the master of the modern thriller, a writer at the very top of his game.